At kaDON, we believe shared experiences have the ability to bring us closer together. With our 2018 FALL RETREAT, we are moving our community-building efforts offline and into nature! 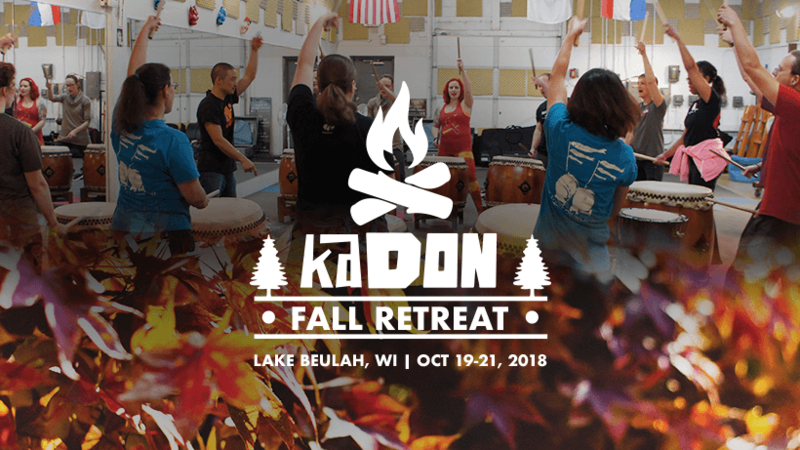 40 taiko players will convene on 340 autumnal wooded acres in some of Wisconsin’s best preserved kettles and moraines to learn, connect and create. We hope you’ll join us!